Try your hand at a traditional art form. 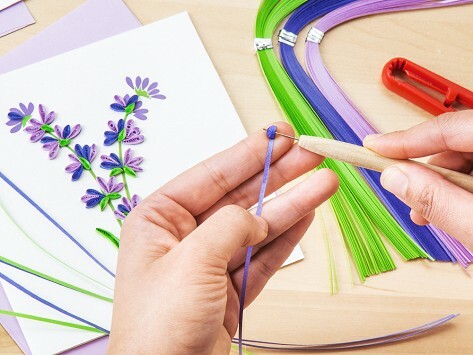 This paper quilling kit teaches you how to create a more advanced design by rolling and shaping strips of paper. Tools like paper, tweezers, and even access to online tutorials are included to help get you get crafty. The kit contains two templated notecards of one design. Made in Vietnam. Dimensions: 9.25" x 0.75" x 10"